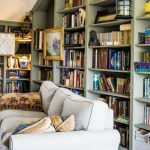 In a monthly column, Sanford Fogg, of Fogg Lighting in Portland, offers his best advice on illuminating your home. Q: What’s the appropriate size and height for fixtures that will hang over tables and countertops? A: The size of your room and your personal taste are the primary factors that determine fixture size. 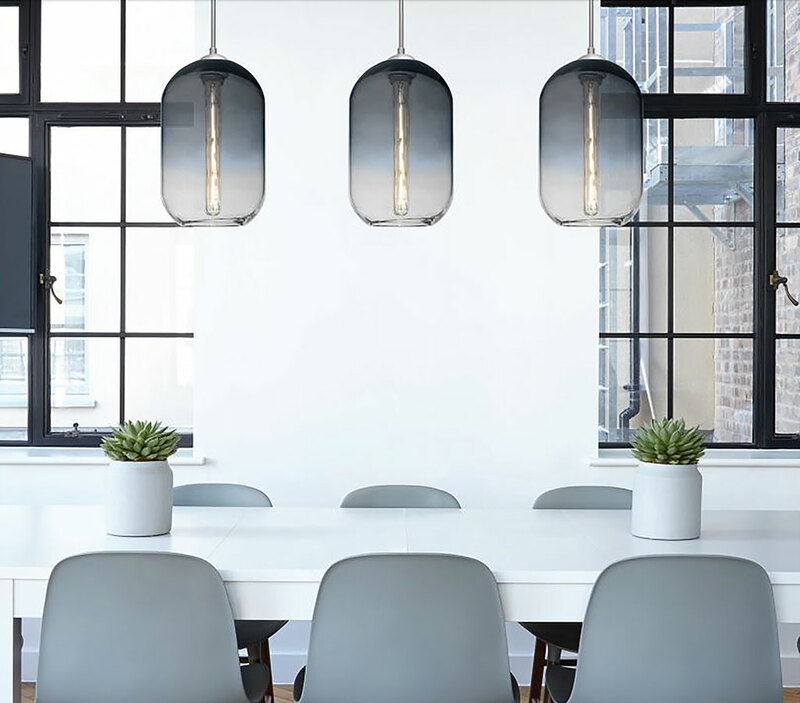 Some lights that are minimalist and small might look lost in a large, cathedral-ceilinged space, while those that have a strong presence may appear overbearing in a compact room with standard eight-foot-high (or lower) ceilings. Often your best strategy is to have a companion hold a fixture, or a cardboard mockup of one, over the surface, then stand back and see how the pairing looks to you. 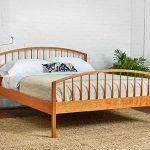 The following recommendations are to help you along the way. 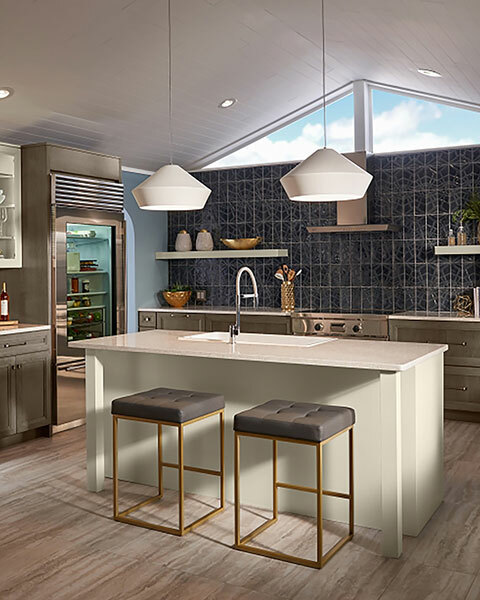 Typically, kitchen and dining room fixtures should be adjusted so that their bottom edges hover 30 to 36 inches above the countertop or table. The taller the ceiling, the higher they can hang. Make sure the fixtures are high enough so that you can see under them and won’t bump your head on them. 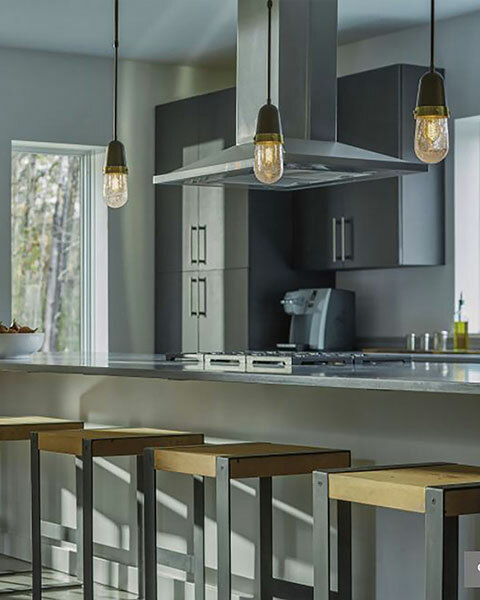 The size of your kitchen island will determine the number and size of pendants to use. 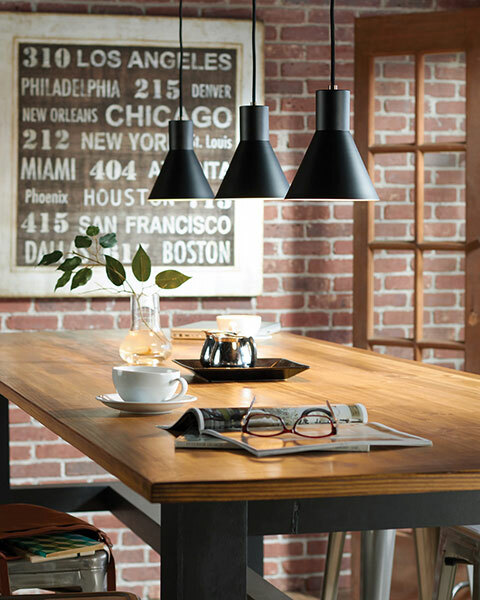 Odd numbers look more balanced than even numbers, but a small island might only need two pendants. 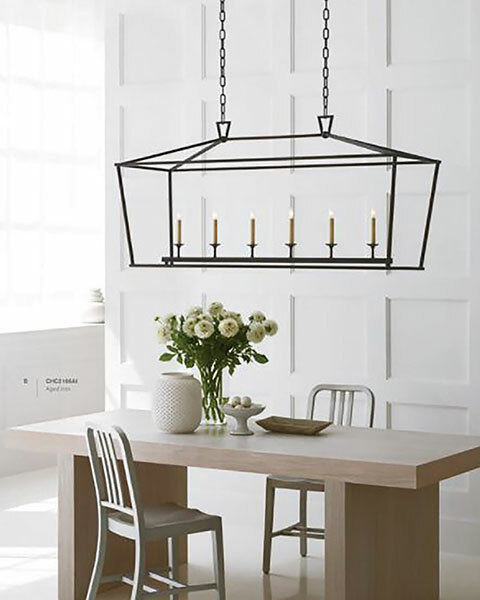 In a dining room, opt for a fixture that’s about one-half to three-quarters the width of the table. The best lighting for a bathroom is a pair (or row) of sconces mounted at about head height beside the mirror(s) — generally 68 to 70 inches above the floor. The next best choice is a sconce above the mirror. Your goal is to illuminate the face and minimize shadows under the eyes and chin. Keep in mind the result you want to achieve when selecting your lights. Minimal glare is always desirable. You can also supplement decorative fixtures with task or accent lighting. Layers of light produce even illumination in a space, while providing lighting for essential tasks.